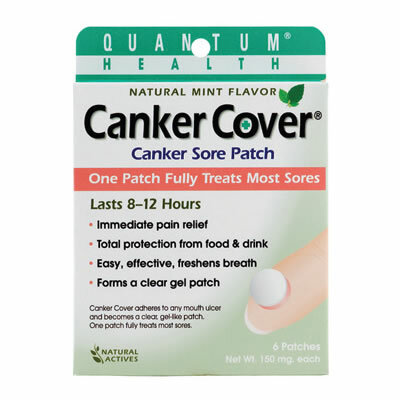 Canker Cover | Quantum, Inc.
Canker Cover also provides immediate and long-lasting pain relief by steadily releasing pain-numbing natural menthol and other ingredients. In most cases, 1 patch completely heals a canker sore within 24 hours. Canker Cover is the only over-the-counter canker sore treatment shown to be more effective at eliminating pain than benzocaine, the active ingredient in most canker sore products.